Every dealership is unique, there are days that there is less shuttle ride request and there are days that it can also be overwhelming. Depending on how you utilize your shuttle service, the following best practices can also be incorporated in your dealership. 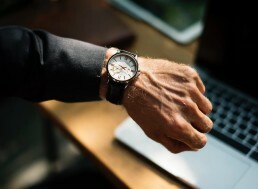 Schedule more Future dates rides – scheduling rides a day or two in advance gives the Drivers enough time to plan their rides the next day. It keeps them organized by planning ahead which ones get to be picked-up/dropped-off first. Give other tasks to your Shuttles/Drivers – Shuttles are not just designed to shuttle customer but they can also serve a various purpose. They can be assigned to do errands like pick-up/deliver parts, do bank runs, shuttle an employee, the list is endless. What is important to understand is that the shuttle & Driver is not limited to a single task instead they can also be beneficial to do other things. Reusable Ride Request link – if you have passengers or even employees that needed to be picked up regularly, you don’t have to keep putting a request in Command Center, the link that they have on their smartphones can be used over and over again. You can even tell your passengers to keep the link for future use, it helps with retention too. Share your Shuttle – does other Department in your dealership need a ride? You can have them use your shuttle and split the cost of the service. 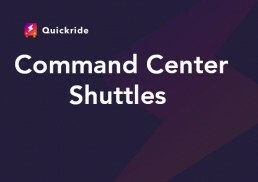 Display your Command Center – you can filter the rides to only show rides that are waiting for pick-up, that way customers can see when it will be their turn. Plus it gives dealerships a positive impression for customer satisfaction. 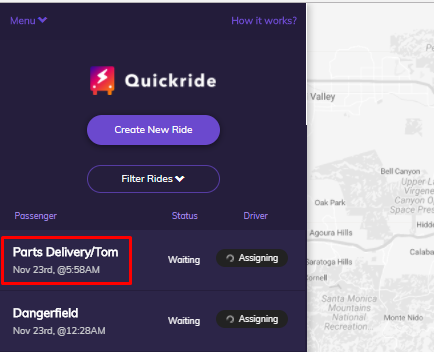 Remember, you can always download a report at the end of the day that gives you the list of rides your driver made for the day. If the rides we tagged properly, you would be able to filter how the shuttles were used.